Gentullio (Tullio) Campagnolo, who was born in Venice, Italy, in 1901, began with a small repair shop. He realised during his racing career that he lost a lot of time trying to unscrew his back tyre to turn it around, which at the time was the only way to change the wheel. As a solution to this problem, he developed clamps which made the changing of a tyre easier and more effective. In the following years he invented more and more bicycle parts, such as the prototypes of the modern derailleurs. During the 1940s Campagnolo continued to make a name for itself in the production of bicycle equipment and clothing. By 1950 Campagnolo had employeed 123 people. 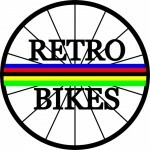 In 1955 the first complete group of components was introduced to the cycling market. In the 1990s the brand also produced motors for racing cars, helicopter parts and satellites, alongside the manufacture of first-class parts for racing bikes. click here to visit Campagnolo’s official website.